Visit that trendy new coffee shop that opened up in the hip district of your area and you’re likely to find sleek new merchant processing services included as part of the larger design and decor of the shop. Why? The hospitality industry is moving toward adoption of the next generation of merchant processing services to improve both the functionality and the overall vibe of the establishment. What do we mean when we say the next generation of merchant processing services? We’re talking about cafe point of sale (POS) software and devices, such as the Clear iPad POS. 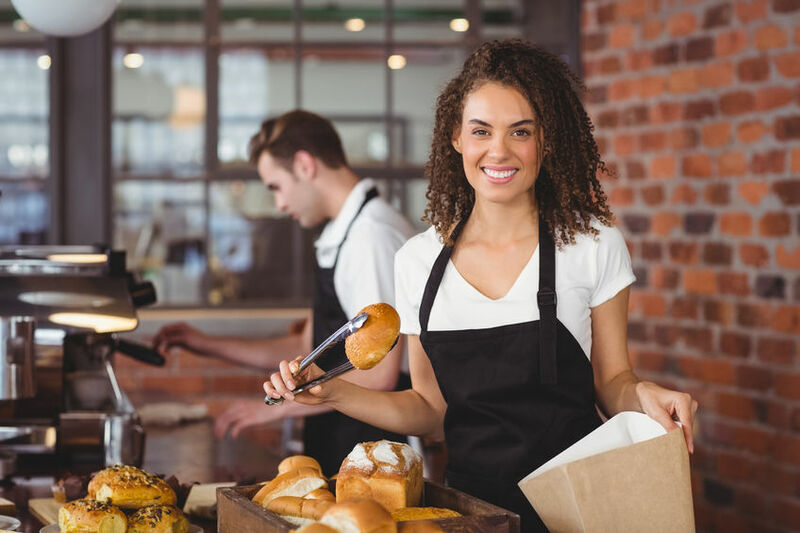 The new systems offer major advantages for business owners over clunky older cash registers, scanners, and POS systems, and the shift is a trend that shows no signs of slowing. The sleek, low profile, paperless systems also have a certain aesthetic appeal to a young, savvy set of consumers and professionals seeking a clean, modern experience. For that reason, the new cafe POS systems are being adopted for their form as part of a design trend in the industry, as much as they are for their functionality. How are merchant processing services part of the overall design of an establishment? Consider that most of your customers are carrying a smartphone in their pocket, or a laptop in their briefcase, messenger bag, or backpack. In these times, the majority of people are using some kind of mobile internet enabled device. From a cultural perspective, in this era the older, clunky point of sale systems can often feel outdated. The new merchant processing services take up a mere fraction of the space. They’re designed to be sleek and visually appealing, and definitely match up with the aesthetic expected by a generation of people now trained to associate the latest iPhones and iPads with modernity, savvy, and efficiency. Additionally, older merchant processing services, such as cash registers and scanners, take up a lot of counter space that could be filled with beautiful eye-catching elements. Outdated equipment can make counters feel overcrowded and oversized, and give off a sense of utility that owners in the hospitality industry are looking to avoid as part of the overall atmosphere and experience. Why? Older cash registers take up a lot of room and often have a secondary payment processing system attached. That might still work in a grocery store, hardware store, or even in retail establishment, but customers visiting bars, coffee shops and cafes expect a more streamlined experience. The customer visiting a coffee shop, bistro, or cafe is likely to have planned a visit to socialize or just relax. A smaller cafe POS system frees up counter space for both form and functional items, such as a beautiful printed menu of specials, flowers, art, and/or a larger glass counter with eye catching, mouthwatering treats for sale. The smaller POS frees up the customer to swipe their method of payment, review their order, and sign, all on a smaller touch screen. This appeals to anyone that wants to go paperless to lessen their environmental impact, or even just for the sake of convenience. Why take a printed receipt, when you can have it texted or emailed to you? But there are also benefits to hospitality industry owners beyond just the design and visual appeal to customers that is driving the trend. What are the benefits of the new cafe POS systems and merchant processing services? For all of these reasons, we’re seeing a move to smaller cafe POS systems as part of the overall design trend for new, smaller cafes opening up. In addition to trendy design elements within the storefront, we’re seeing multi-functional spaces in these forward thinking establishments for dining, classes and education, and events. Many of these leaders in the hospitality industry are also offering a website and downloadable app that can be integrated with the new merchant processing services and cafe POS to offer information to customers on current prices, hours, give directions, promote upcoming events, provide educational content (such as how to brew the perfect coffee at home), and update customers on upcoming specials and promotions. If you’re looking to upgrade your design with a new POS system, or even open a new establishment, it’s worth the effort to learn more about the new merchant processing services in Chicago, Illinois and how they can be integrated into a better design and customer experience overall. Please visit us online, or reach out to us directly to learn more.